It’s an interesting time for Celulosa Argentina to choose to move into the tissue market. The Argentinian tissue industry continues to report progressive figures despite the country’s ongoing economic problems; it’s following the global tissue growth rate of 3-4% and shows strong value growth across almost all FMCG categories. In 2013, retail tissue is set to register 28% value growth while tissue consumption remains at around 3.2kg per person; a figure that has changed little over the last five years. 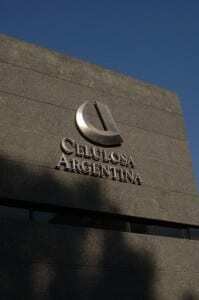 Celulosa Argentina’s tissue expansion plans will add 30,000tpy of high quality tissue to the market. The company signed for a new Voith-supplied TM in September, which will be installed at its Capitán Bermúdez mill in Santa Fe and is expected to be up and running in January 2015. Speaking from his office in Buenos Aires, the company’s corporate manager of institutional relations Osvaldo Vassallo explains, partly in English and partly through a translator, that the machine will enable the company to get a foothold in an area of the paper industry that is seeing “substantial growth”. He says: “With this move we are continuing to pursue our long-term growth plans. We analysed the international markets for paper and the tissue and wrapping paper markets are growing the most. So we decided to diversify and in 2015 we will start to supply jumbo rolls to tissue converters in the local region as well as abroad. Established in 1929, Celulosa Argentina manufactures and distributes sustainable products to the domestic and global markets. 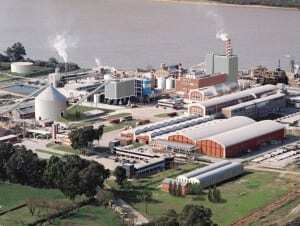 It owns three paper mills; Capitán Bermúdez, Zárate which is close to Buenos Aires and Juan Lacaze in Uruguay. Its present business units are paper, cellulose pulp, forest, wood and distribution, and it manufactures printing and writing paper, coated and non-coated paper, packaging paper, conversion and speciality paper. Vassallo says the market is declining in these areas all around the world. “We saw a big opportunity to move into tissue,” he says. This is the market breakdown in and around Buenos Aires, with all tissue producers at full capacity: total consumption 300,000tpy; La Papelera del Plata 120,000tpy, CMPC 100,000tpy, Celu Paper 60,000tpy, Samseng 35,000tpy, Kimberly-Clark 23,000tpy, Papelera San Andrés de Giles 18,000tpy, Celulosa Campana 25,000tpy; and Valot 12,000tpy. The company is trying to generate agreements with “the most important tissue companies in Argentina”. At this stage it will just be selling jumbo rolls to converters, but around 30-40% will also be for export. It currently imports around 17,000tpy, primarily into the Uruguayan marketplace, while it exports around 10,000tpy. Salaries in Argentina are generally improving and people have more disposable income and are demanding better products. Around 7% of the country’s 42 million population fall into the ABC1 consumer segment, receiving 37% of the total income, and most of which live in Buenos Aires. Share the post "Seizing the future for tissue"